If you have a few days to spare then this area will fill every moment of every day. Culture surrounds you, from Rennie McIntosh inspired buildings and furniture, galleries containing Impressionists, Colourists and Contemorary Art to the most unusual forms of transport. You will definitely need more than one visit. 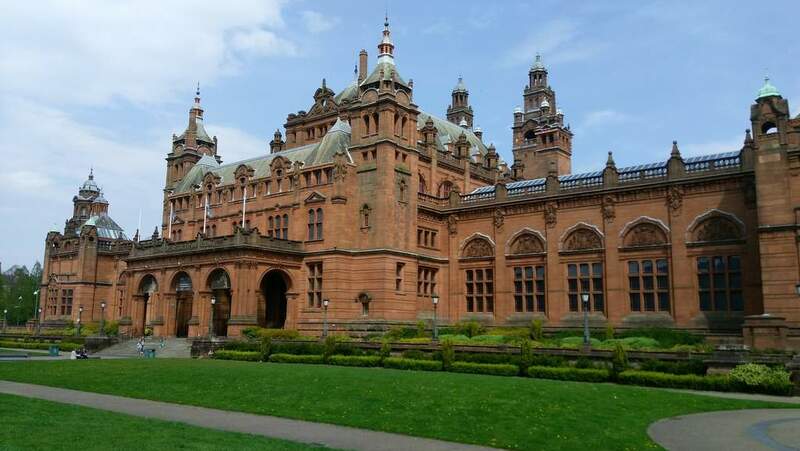 Built with funds raised by public subscription Kelvingrove in the West End of Glasgow is a magnificent example of Victorian architecture. The museum houses an enormous variety of artwork and artifacts, from galleries of French impressionists and Scottish Colourists to wonderful examples of Chinese pottery. The Rennie McIntosh Gallery is fascinating with examples of work by the MacDonald sisters. Dali's 'Christ on the Cross' is one of the most visited pictures at Kelvingrove, though children love the Natural History Galleries. Entrance is free and the Museum and Gallery are open all year round. 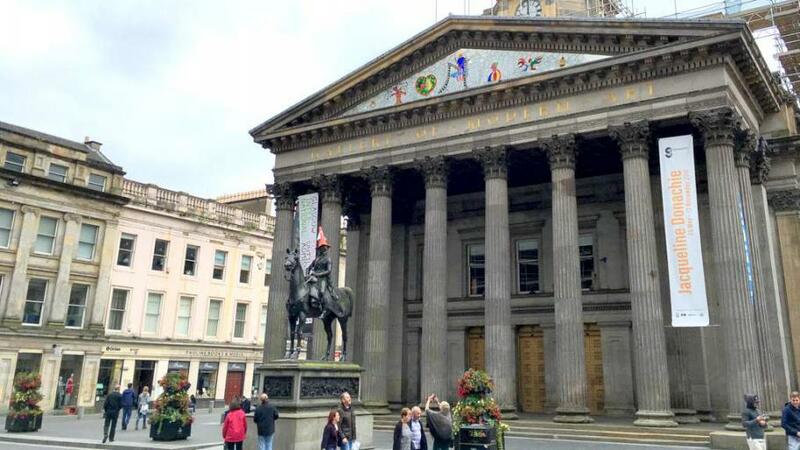 Located in the centre of Glasgow, near Buchanan Street and the Merchant City, the Gallery of Modern Art, or GoMA, is a must see for anyone keen on modern art. Housed in a wonderful Victorian Building the galleries are large and bright and the changing exhibitions are always challenging and interesting. 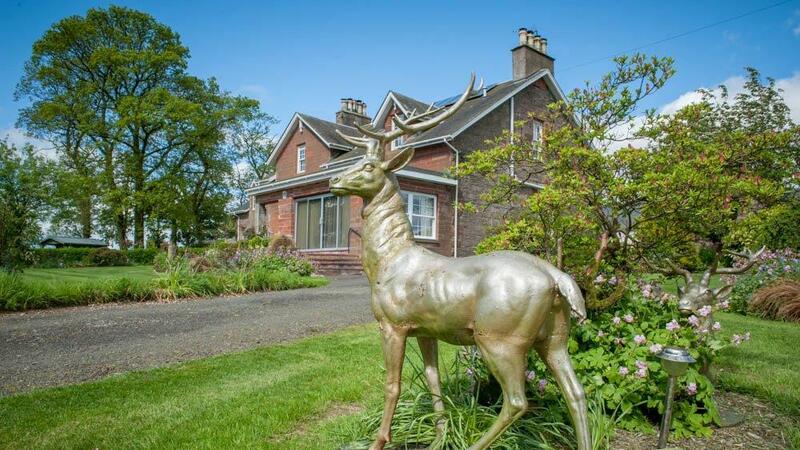 Looking out over the Clyde, high on the Hill above the town of Helensburgh, Hill House is the best example of Charles Rennie McIntosh's work. Not only was he architect for the house but he also designed most of the furniture (except for the dining room), the light fittings, décor and the materials for the soft furnishings. Following the fire at the Glasgow School of Art, Hill House is a must visit for lovers of early 20th century style.